On those days when you’d like to get a decent hike in, but don’t have time to head too far out of town, head to the Bent Creek area and give this gentle loop a try. Directions: From Asheville, I-26 East and take Exit 33 onto NC 191. Turn right to head south on NC 191 for two miles. Turn right onto Bent Creek Ranch Road, following the signs for the Lake Powhatan Recreation Area. The parking area at the Hardtimes trailhead is just around two miles down this road on the left. From the parking area, head through the gate and start down the road. When you reach a canal, cross over to continue on Hardtimes Road. 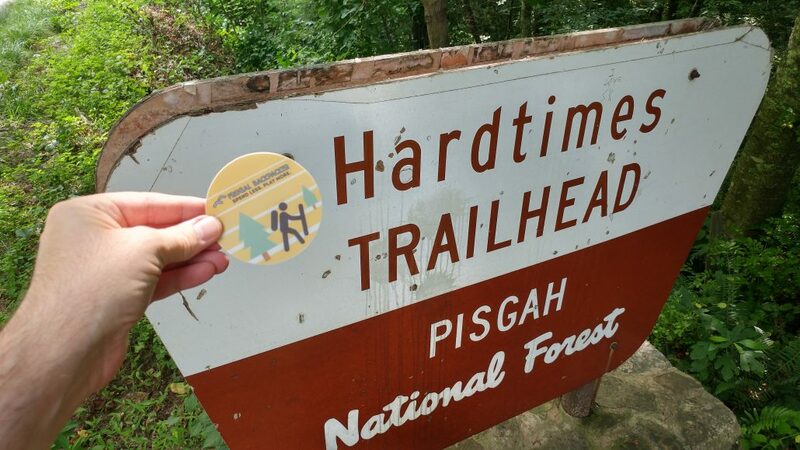 After an easy climb, the trail will briefly meet up with the Mountains to Sea trail, make sure to continue on the Hardtimes trail after the MTS veers back off to the right. Before you reach the parking area for the Arboretum, turn off onto the Old Mill Trail to the left, this will take you through the Arboretum. When you reach Bent Creek Road, turn left and continue out of the Arboretum. Continue to follow this road till you return to the Hardtimes parking area.